As Spring unfolds with warmer weather and longer daylight hours - the season inspires me to embrace the great outdoors in a way I'm certainly not when I'm curled up all warm and cozy under my Winter duvet! Although Toronto is considered a dense urban 'concrete jungle', its natural geography has a suprising abundance of lush ravines that run like ribbons through the city fabric. When you access these green spaces, the city transforms into a lush oasis that transports you far away from the urban grind and into a natural paradise. And Spring is the perfect season to enjoy it. As buds on the trees start to bloom, and the air is kissed by a fresh Spring fragrance, whether you're a fair weather cyclist (like yours truly!) or a commute-hardened roadie, it's time to pull out the bike and, after a maintenance check, get back in the saddle and go for a spin. In Toronto’s mid-town neighbourhoods, one of the best places to explore by bike is the Beltline Trail. 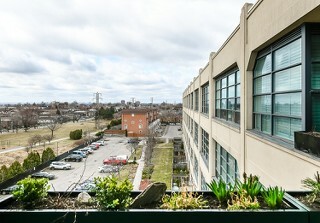 The Beltline Park and Trail are a unique part of Toronto's parks and ravines. The trail follows an old railway line from Allen Road south of Elm Ridge Drive and west to Mount Pleasant Cemetery. It is a great way to see the city along old ravines and through hidden green spaces. The Park is also a part of the Central Ravines, Beltline and Gardens Discovery Walk, and it’s definitely a hot spot for nature lovers, those who love walking, runners, and of course, cyclists all over the city. Did you know cycling clubs for all ages and abilities abound all over the city? I got my start in cycling with Toronto Bicycling Network, which is Toronto's largest bicycling club, and is an all-around remarkable source of information - especially for those starting out. An especially friendly group, they offer courses on ride etiquette, safety and tips on technique. TBN offers rides (including ravine rides - some of which include the Beltline) throughout the week and on weekends, as well as super-affordable trips outside Toronto - and if you're wondering what the group does when it's too cold or snowy to ride, they host ski outings to various locales outside the city during the off- season. It's a great opportunity to participate in a community that's dedicated to fitness and leisure in a supportive and safety-focused environment. Originally a commuter railway built to service what were then suburbs such as Moore Park, Rosedale, Forest Hill, and Swansea, the Belt Line Railway opened in July 1892, but a recession and competing rail services led to the railway’s closure only 28 months later. Although parts of the railway were purchased and used by other companies over the years, much of the old Belt Line sat abandoned for many years after. In 1972, the city purchased a stretch of the railway east of Allen Road to create what would become the Kay Gardner Beltline Park. Who was Kay Gardner? She was a local politician who became involved in a campaign to save the former railway right of way from development. But she was best know for advocating for tenants’ rights. She helped lobby the city to save three low-rise rental apartment buildings on Eglinton Avenue West from conversion to condominiums. Among her many accomplishments, she was awarded the Constance E. Hamilton Award, named for Toronto's first female alderman. The award is given to women in Toronto who have made a significant contribution to helping Toronto women secure equitable treatment, economically, socially, and culturally. If you’re a runner, much of the trail is unpaved but the solid, well-packed dirt trail offers good running or walking conditions. The playground at Oriole Park, just east of Oriole Parkway, is a great place for kids to play. There is plenty of seating and a few tables under the trees - perfect if you're in the mood for a picnic. The cold and often cruel - Toronto winter gives us all the more reason to fully appreciate and soak up one of the most enchanting green spaces in the city while we can! What a perfect way to escape the stresses of the day! Instead of heading to a windowless gym and hopping on a staionary treadmill, head out to one of Toronto's many parks for some fresh air and exercise - I guarantee it won't feel like a chore! Wouldn’t it be great to have the Belt Line Trail just steps away from your home? How about looking onto its lush landscape from the balcony above, which overlooks the Walter Saunders Memorial Park? This will be the reality for the new owner of A Fresh Factory Redux In The Historic Art Deco Forest Hill Lofts, offered for $599,000! Contact James Ormston at james@urbaneer.com to book a viewing! I LOVE Toronto Real Estate! *Love Canadian Housing? 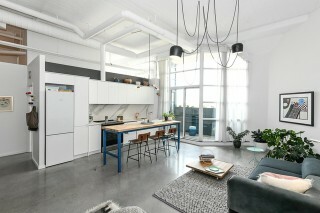 Check out the purveyor of Urbaneer.com - Steven Fudge's Student Mentorship site called Houseporn.ca which focuses on architecture, landscape, design, product and real estate in Canada!